The effective management of biosolids has become of great importance for wastewater utility organizations. 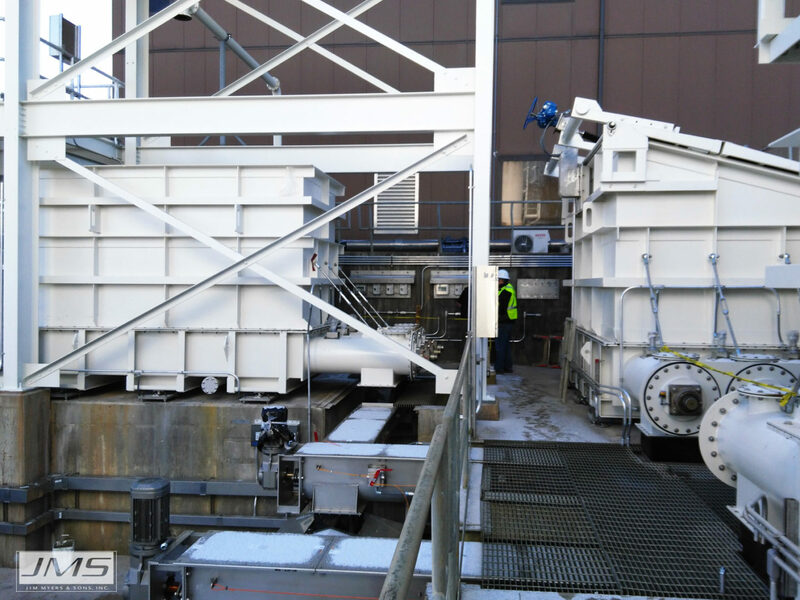 Beneficial use of solids removed from the wastewater treatment process contributes positively to both plant costs and the environment. Treatment plant biosolids come with several negative characteristics. Biosolids are both high in moisture content and contaminants. The result is a heavy, sometimes wet, sticky, odor laden material that is often challenging to move and store. 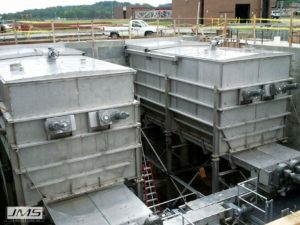 JMS Bio-HOPPER (Live bottom hoppers) are one of the most efficient solutions for handling biosolids. 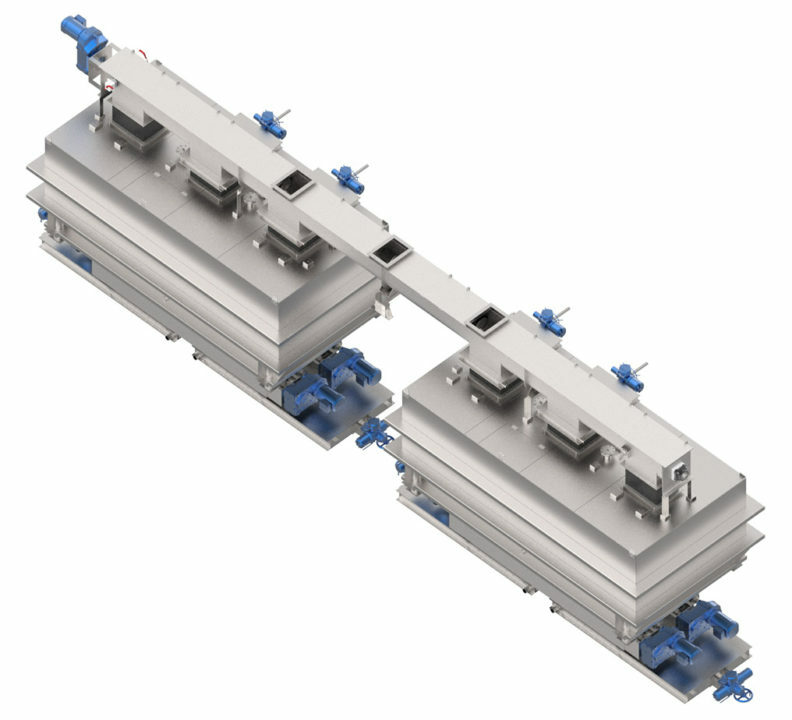 They are specifically designed to store and discharge strongly cohesive material of various solids with a tendency to stick together causing bridging, rat-holing and poor flowability. 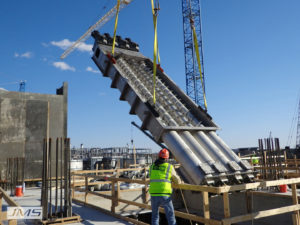 The live bottom is made up of flooded shafted, or shaftless feeding screws that work together to keep material moving as it is loaded into a truck, pump, screw conveyor or other bins. 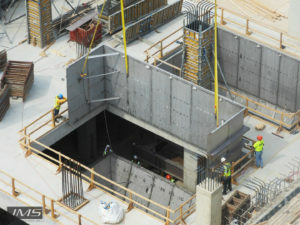 Leveling screws within the hopper keep material moving in a first-in first-out even pile draw down. Bulk solids properties including moisture content, cohesiveness, shear strength, and compressibility are taken into consideration when designing an effective system. 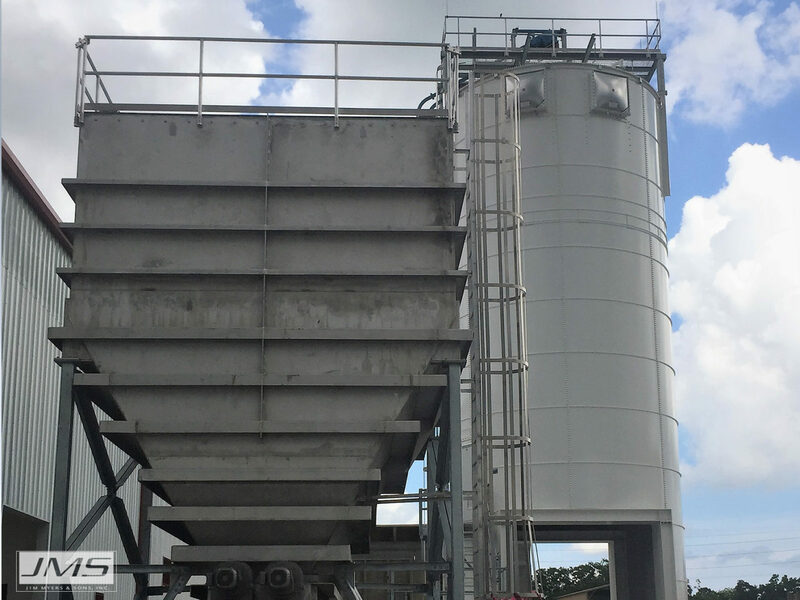 Want to learn more about what are some of the design considerations for a biosolids storage solution like live bottom hoppers? 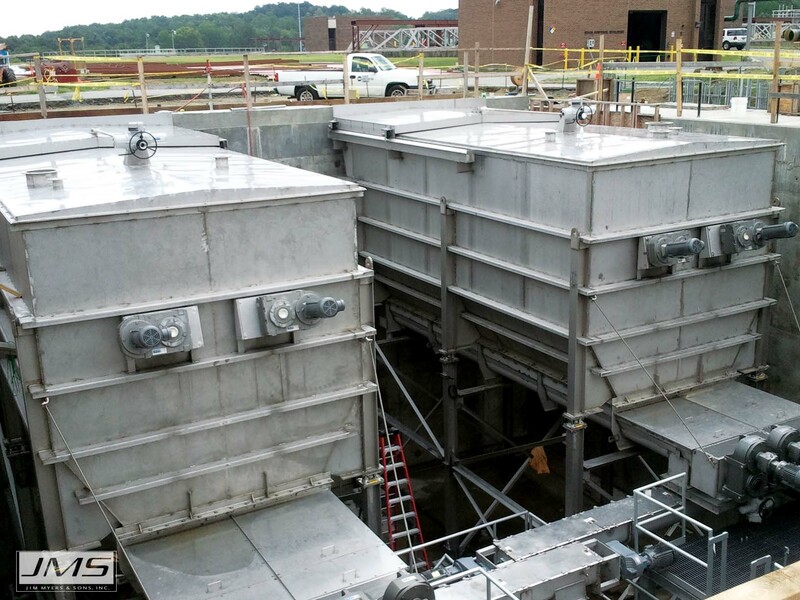 Watch this presentation on designing biosolids storage solutions to learn more. Individual drive systems can be provided for each screw, providing the most redundancy for live bottom and leveling screws. Both are available to meet the needs of the process. Shaftless screws with UHMW-PE liners are recommended for bins longer than 22 feet. JMS custom designs Bio-HOPPER (Live Bottom Hopper) in stainless steel, painted carbon steel, or a stainless steel shell with painted external stiffeners. Designs ranging up to 500 cubic yards in capacity, either field welded or bolted, effectively discharge even the most difficult materials. 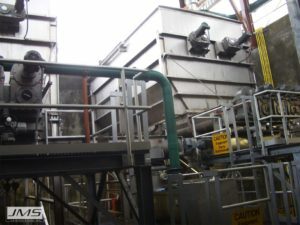 Discharge rates can vary dramatically, and several options such as load cells, level sensors, and odor control are available to meet the process need. 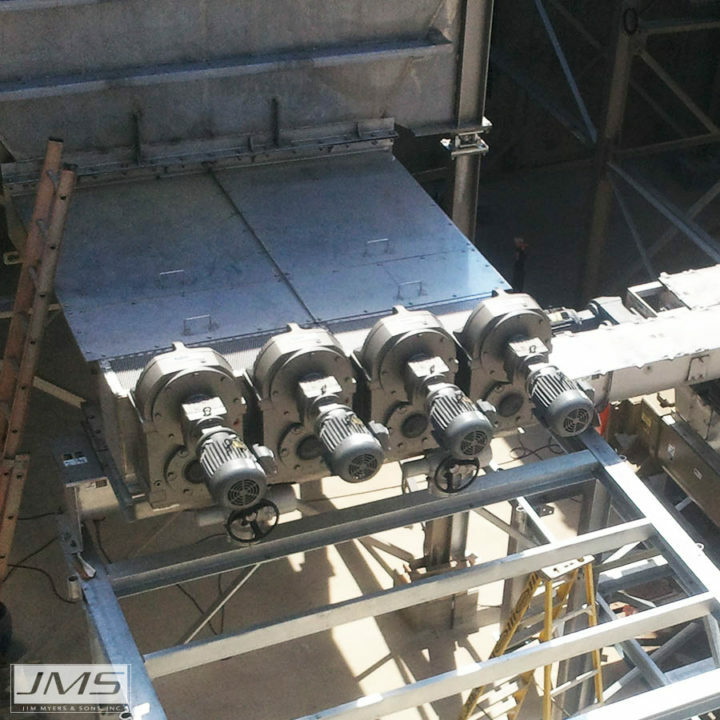 JMS experience ensures longevity and low operational costs over the life of the equipment. 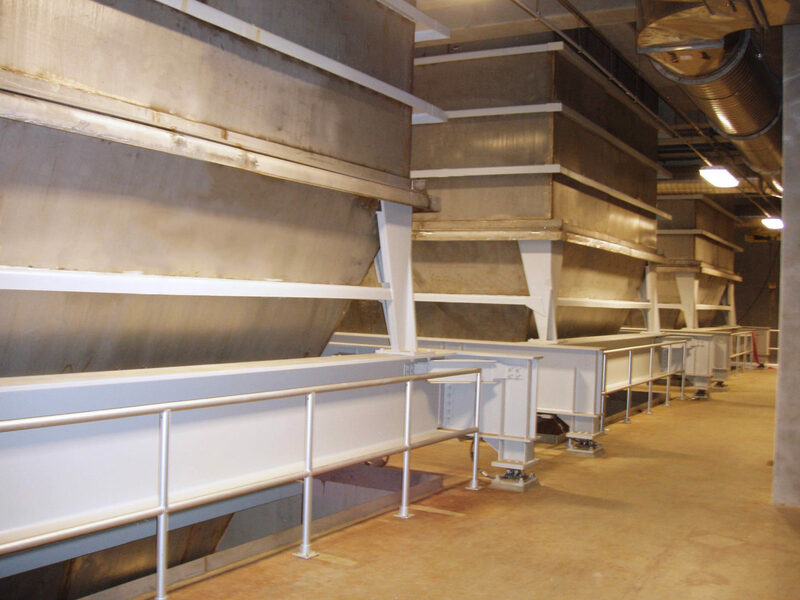 Having complete system design capabilities, JMS can engineer storage and feed systems such as Receiving Stations, Bio-Stabilization Systems, or Truck Load-out Stations utilizing Bio-HOPPER (Live Bottom Hopper) bins with conveyors, mixers, and structural supports. 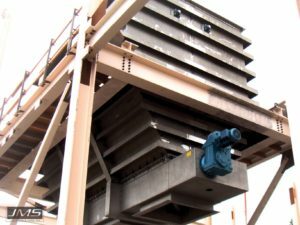 From a simple hopper system, to multiple component bulk material handling systems, our years of experience and in-house manufacturing capabilities are demonstrated in each project. 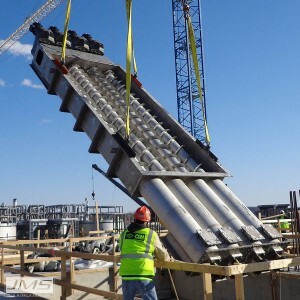 JMS engineers and designers use key engineering principles and material test results to make sound decisions on flight configurations, screw pitch, and diameter to maintain mass flow and deliver the specified material at the correct rate. Maximum operating torque is determined for the most demanding combination of service conditions, feed rate, and biosolids consistency. Materials of construction are carefully chosen for the particular conditions, all with the goal of long life and low maintenance requirements. The Woodins were the first family to settle on the banks of the Sammamish River in Washington, where a community developed in 1888. 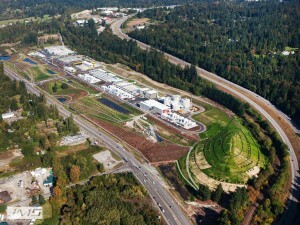 Today,Woodinville, WA is home to over 10,000 residents, and is part of King County’s regional waste treatment system. 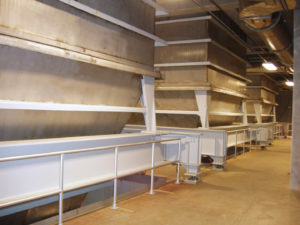 The Brightwater Treatment plant, north of Woodinville on State Route 9 is one of four that treat the area’s wastewater. 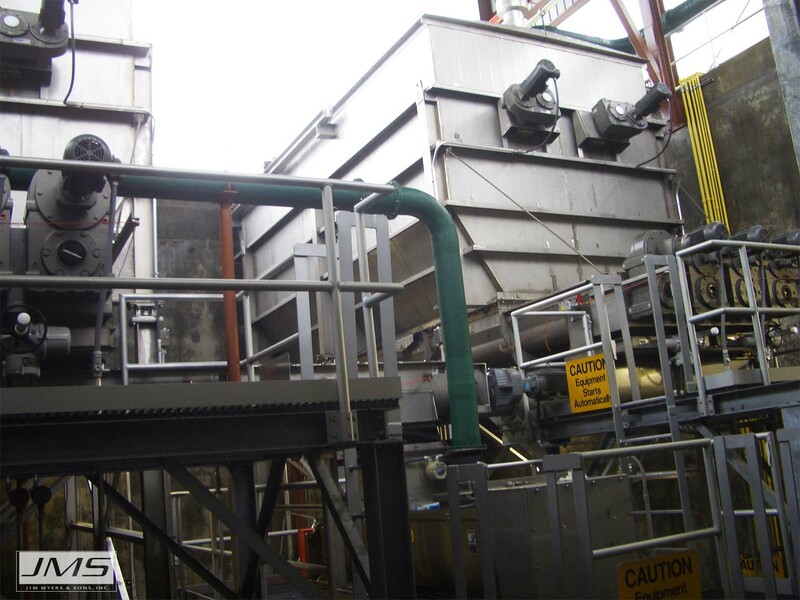 King County has been safely recycling biosolids for over twenty five years. When the construction of the Brightwater Treatment Plant was started in 2005, the plans included significant equipment for biosolids, thickening, digestion, and dewatering before removal for beneficial use off-site. 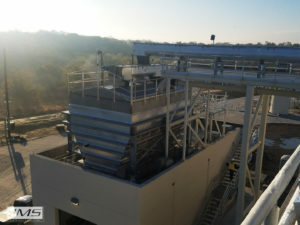 JMS designed and manufactured a biosolids Bio-HANDLING truck load-out station for this location. 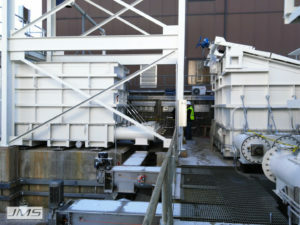 Two extra large JMS Bio-HOPPER (Live Bottom Hoppers) work with JMS Bio-SCREW (Screw Conveyor Systems) and Bio-GATE (Slide Gates) as the backbone of this system. Due to loading restrictions at the facility, special pneumatic gates were designed to give this system fully automatic capabilities. 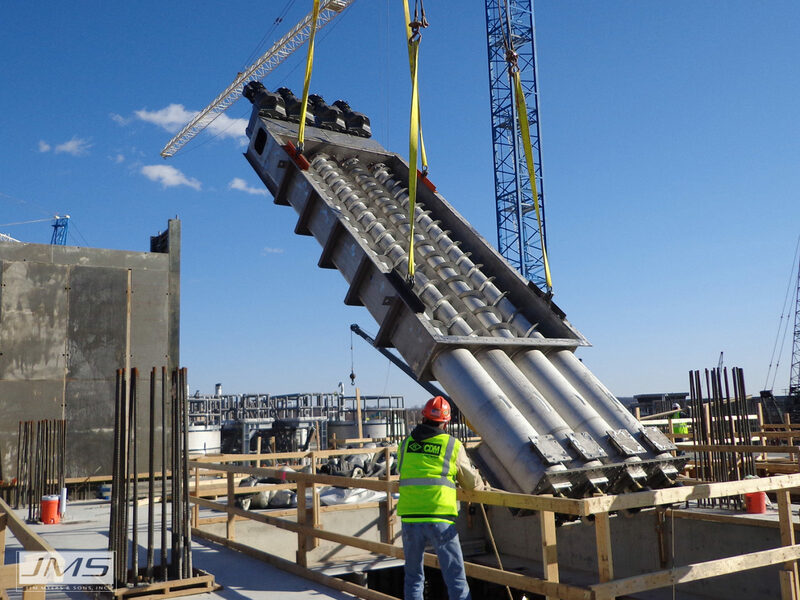 Plant personnel, including the Operations Supervisor Andy Strehler, have enjoyed working with JMS to optimize the system, and are enthusiastic about continued utilization of its capabilities.